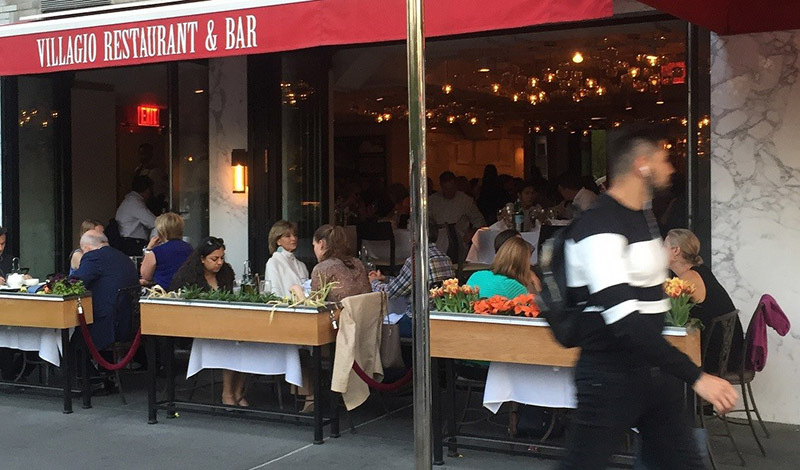 Dining outdoors is a quintessential part of the New York restaurant experience throughout the summer months. 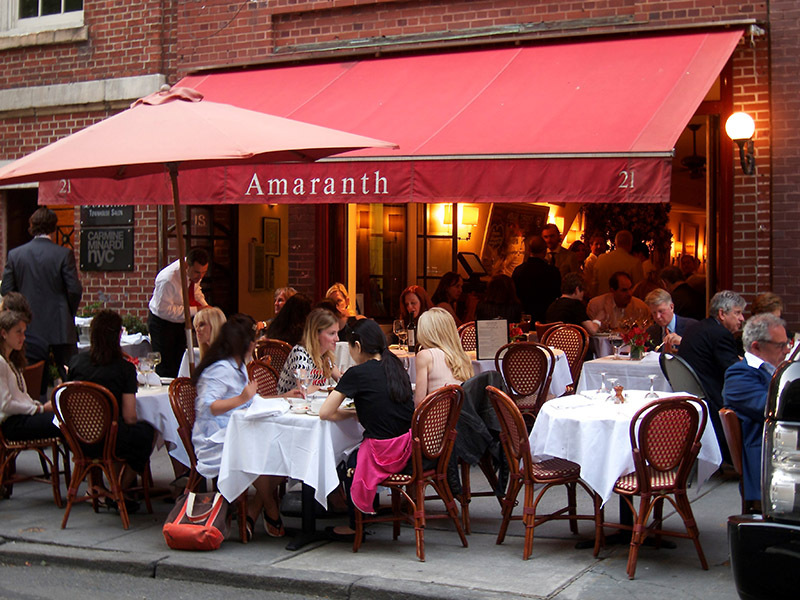 Whether a sidewalk café or courtyard, enjoy a quality meal al fresco at some of the city’s biggest hotspots. 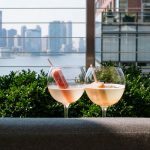 Below are some of the highlights of the New York outdoor dining scene. 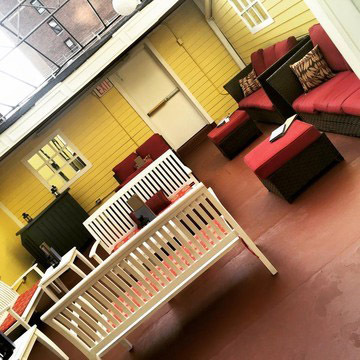 This four-floor venue is a premiere destination for game viewing, enjoying after-work drinks, or grabbing a bite, however it’s Latitude’s fourth floor roof deck that is a neighborhood hot spot during the summer months. Small plates such as the Hummus Platter Trio (Sriracha, Edamame, and Baba Ganoush hummus with vegetables and chips); Homemade Rosemary, Garlic, and Olive Oil Grilled Flatbread with Pan Roasted Shitake and Portobello Mushrooms, Black Truffle Oil and Fresh Mozzarella Cheese; and a variety of spring rolls are ideal for sharing while sipping on ice cold drafts or craft cocktails. 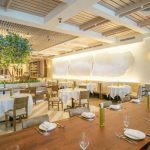 A recent newcomer to Manhattan’s dining scene, Villagio on the Park combines a fresh taste of Italy with an unparalleled Central Park South location. Enjoy an alfresco dining experience of traditional Italian dishes including Fiore di Zucca (zucchini flowers stuffed with smoked mozzarella and prosciutto); Pollo Milanese, chicken breast lightly breaded and topped with tricolor salad with fresh diced tomatoes, lemon juice, olive oil, and balsamic vinegar; or Risotto Frutti di Mare–Carnaroli rice in a saffron sauce with an array of fresh fish, shrimp, mussels, clams and calamari–while taking in the views of summer in the city. 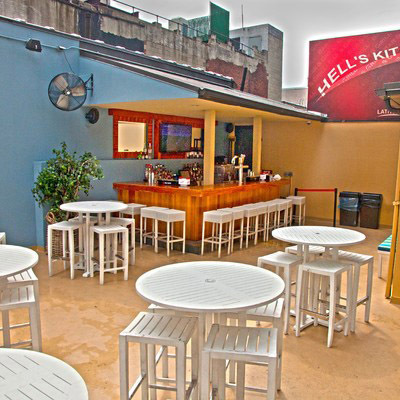 Whether hanging with an after-work crowd or planning a private party, Social’s rooftop bar is the ultimate Midtown destination. Enjoy a cold brew from the bar’s menu of craft and draft beers then share some of the lounge’s mouthwatering appetizers such as Hot Soft Pretzels with Beer Cheddar Dip or Social Nachos (tri-colored chips layered with grilled peppers, black beans, red onions, scallions, cilantro, cheddar, and jack cheese and a tomato cheese sauce). 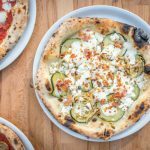 A menu of heartier bar fare, like sliders, salads, wings, burgers, mac-n-cheese, and pizzas round out this spirited menu. As the summer heat tunes your appetite, enjoy the tastes and spices of Latin and American cuisine at A.G. Kitchen. 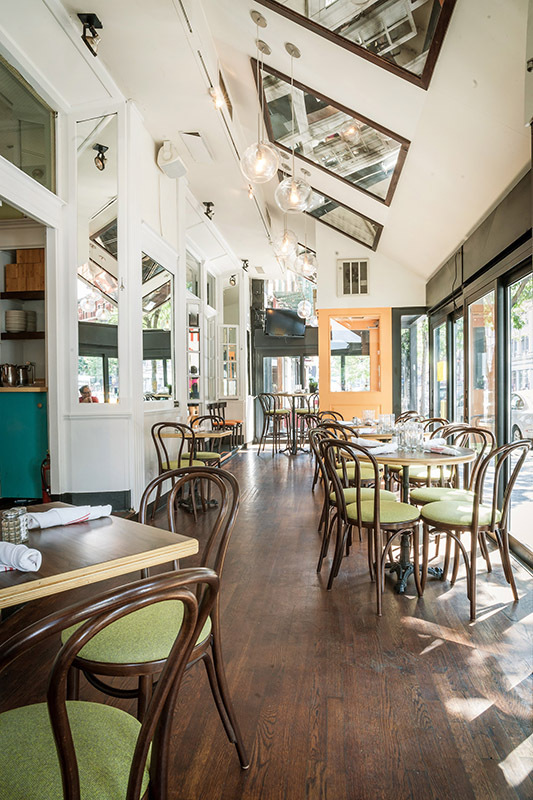 Located on the Upper West Side and named for the initials of famed Chef Alex Garcia, A. G. Kitchen is comfort cuisine fused with a modern twist. 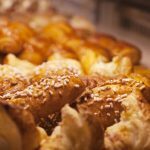 Renowned for its varieties of made-to-order guacamole (Classic, Pineapple and Pomegranate, and Papaya and Mint), plus entrees such as the Brazilian-style Samba Chicken, Manhattan Latin burger, in addition to the city’s most authentic tasting Cubano. 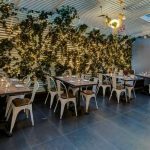 This causal eatery is a neighborhood staple offering tantalizing Latin and American comfort food with a contemporary New York twist. 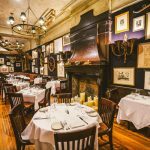 Enjoy high-quality Mediterranean dishes that are a fusion of Italian and French classics at this cozy Upper East Side hotspot which offers sidewalk tables and a fully open front for that summer open-air dining experience. Start with Amaranth’s renowned Focaccia Robiola, that’s baked on-site in the restaurant’s brick oven, then filled with fresh Robiola cheese, marinated tomato and drizzled with white truffle oil. 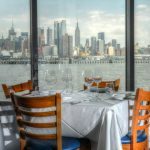 Sample other classic summer entrees such as Pan Seared Nantucket Sea Scallops with mushrooms, braised leeks, and lemon white wine sauce; Straccetti di Manzo, super-thin pounded sliced filet mignon served with arugula and shaved Parmigiano; homemade fresh Four Cheese Raviolini with Butter and Sage, prawn carpaccio, sushi quality thin sliced raw jumbo prawns marinated in extra virgin olive oil and fresh grated ginger or watermelon and feta cheese salad with fresh mint. The wine list, boasts a balanced selection of old and new world providers ranging from France and Italy to Chile, Argentina, New Zealand, Australia, South Africa and California. To complete this unique dining experience, try some of Amaranth’s homemade desserts, such as Tiramisú or Warm Flourless Valhrona Chocolate Cake, for something light Amaranth offers a fresh fruit salad- fresh drizzled with Grand Marnier and Mint.